This Collection is used to store items that either need to be scheduled months in advance… or things that you want to get around to someday. 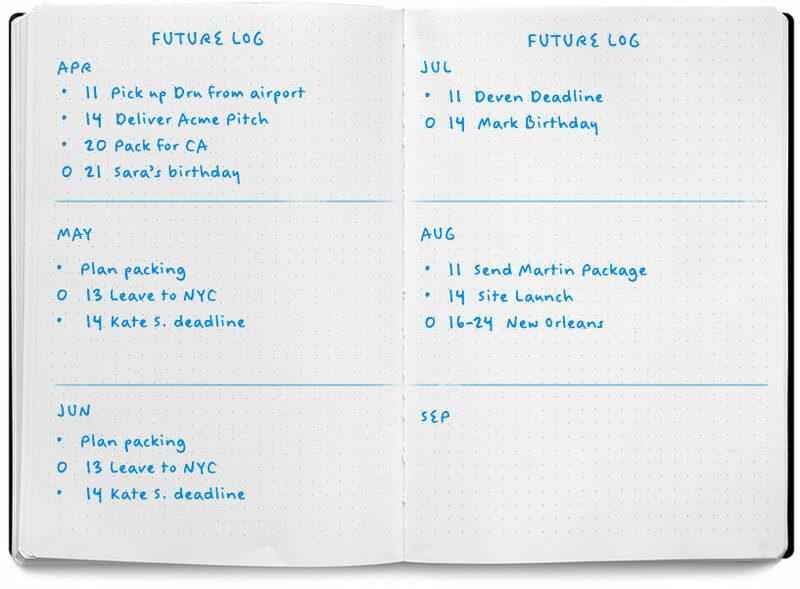 Set up your Future Log by graphing the pages by the amount of months you’ll need. Two equally-spaced horizontal lines across facing pages creates a six-month calendar, for example. Once your Bullet Journal is caught up to your first month in the Future Log -in this case April - simply move any items that you're not going to do into the next month.